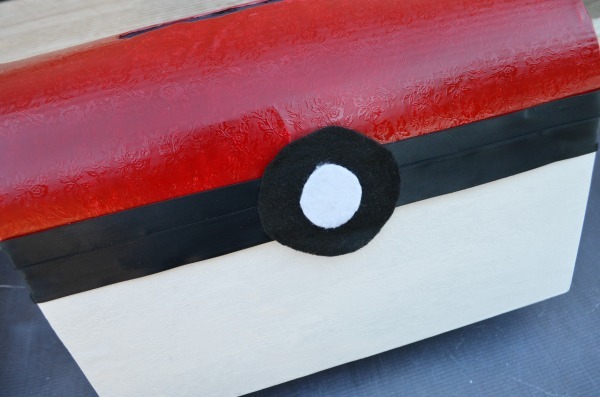 Get ready to build a fun Pokémon Valentine box! 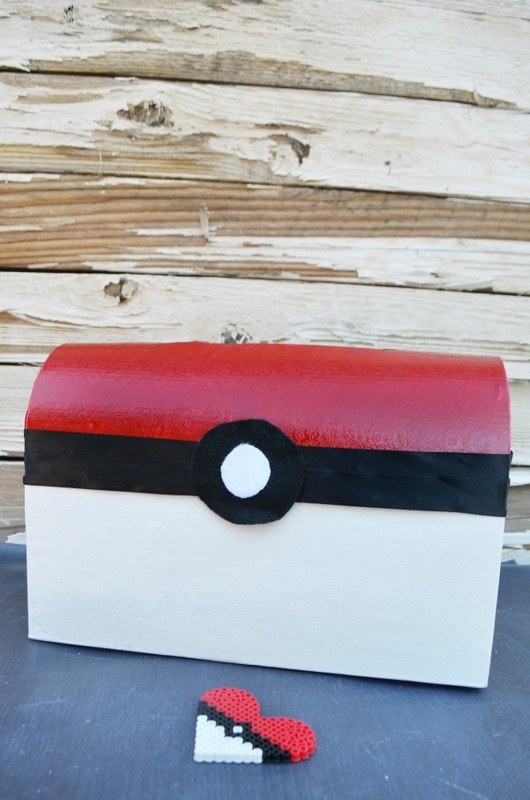 This is one of my favorite memories of school Valentines, building a custom box to hold catch them all. With Pokémon Go the big thing this year, I was inspired when I saw a wedding card box on Oriental Trading. It had the perfect domed lid that screamed Pokéball! Thanks to Oriental Trading for sending me the wedding box and other fun supplies for all my Valentine’s Day crafts this year. Prep the box by removing the decorative buckle. If spray painting, place a bag around the bottom and secure with painters tape just above the black ribbon. If hand painting cover the ribbon with painters tape, to protect and create a straight edge. 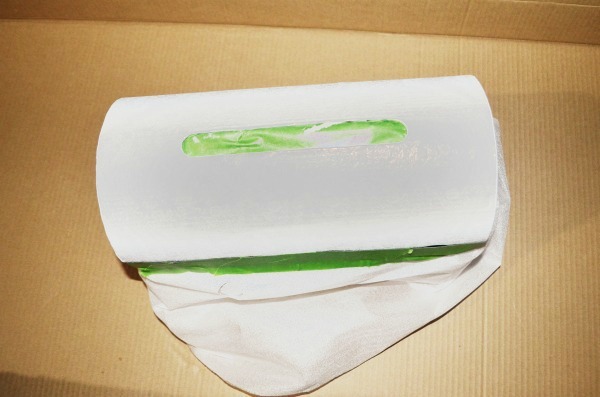 Place a piece of tape on the inside of the box to cover the hole. Paint the top of the box red. Let it dry to the touch before removing the tape. Overlap a second length of black ribbon with the first. Adhere with glue dots or hot glue. Cut out a 3″ circle of black felt, and a 1.5″ circle of white felt. Attach the white felt to the middle of the black. Place the stack of felt circles on the middle front of the lid. Position it so the ribbon is directly behind it in the middle. That’s it! A little paint, cutting, and gluing. 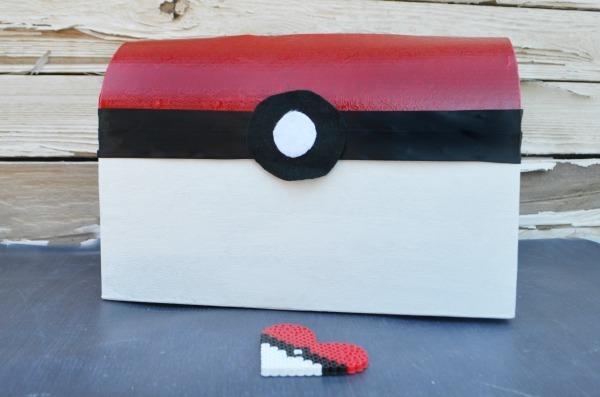 Then your kiddos are ready to catch all those Valentines. Looking for some easy ideas to fill those boxes? Checkout these free printable Valentine ideas.